The new items at Link are from different cuisines, Indian as well as Western. 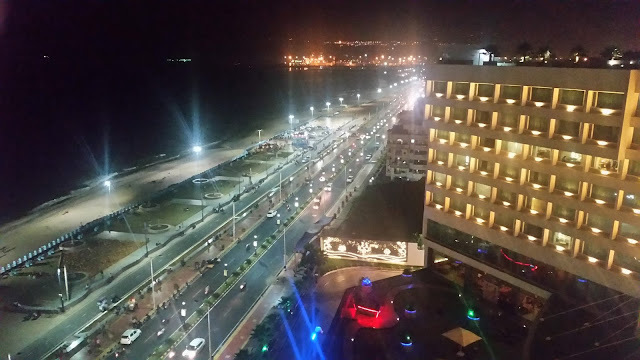 The menu is designed with all types of clientele in mind – people who have a quiet discussion during the day, or want to relax with a drink in the evening, as well as drop in for a post-midnight snack. Starting from salads, sandwiches and burgers the offerings extend to dishes from states like Maharashtra, Telangana and Andhra, satisfying people with different palates. On the beverages front, the addition has been in terms of coffee and tea based cocktail and mocktails. At a preview, we were presented with select items from all sections of the new menu. And most of them were offbeat either in their preparation or in their presentation. 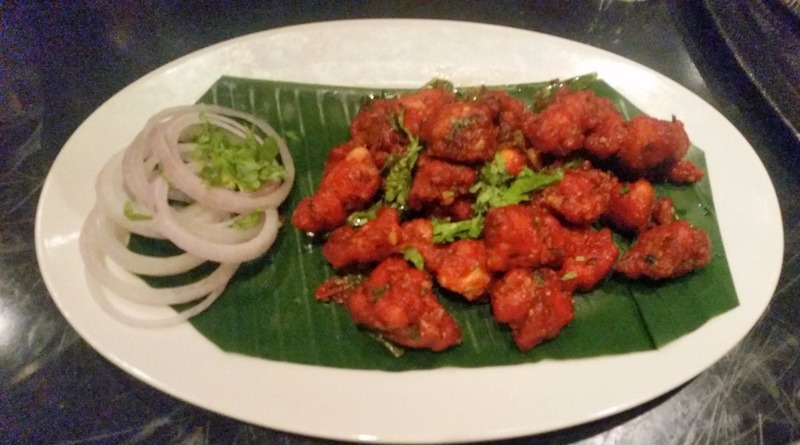 From the Appetisers, Andhra Chilli Chicken was one of the dishes that impressed me. You usually do not have too many local dishes in a café format, however, the boneless spicy preparation with chillies and black pepper can be a perfect accompaniment for drinks. 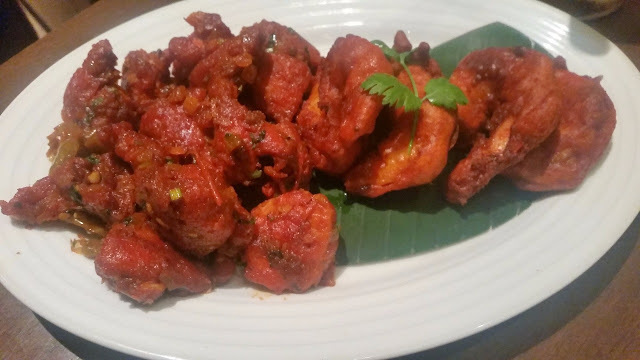 Prawn Koliwada is a well-known dish from the fishermen in Maharashtra. The slightly tangy marinade on the succulent prawns tasted good, and the colours looked exactly the same as you find in Mumbai. 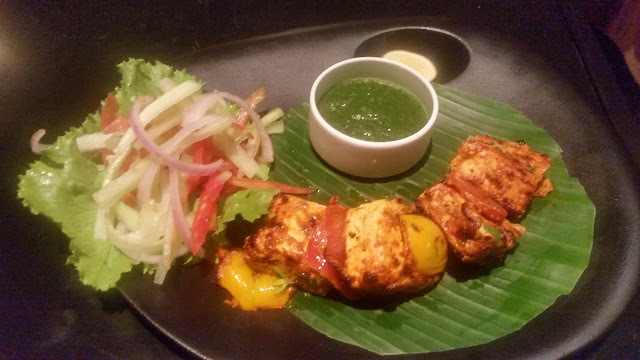 For the vegetarians, Achari Paneer can be a good choice, the pickled masala worked really well on the soft paneer. 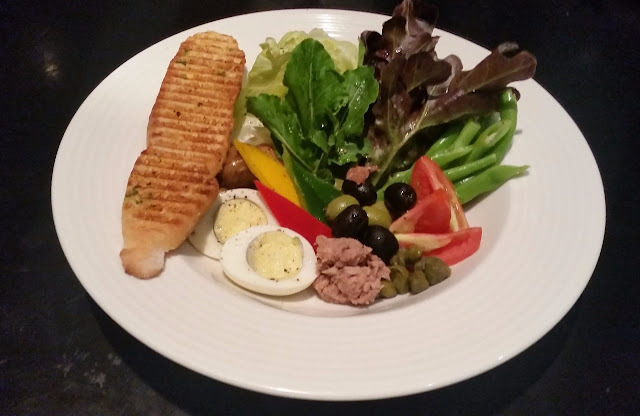 Among the salads presented, Nicoise a refreshing lettuce salad with tuna, anchovies and eggs impressed. Mesclun Green Salad was another which looked interesting. 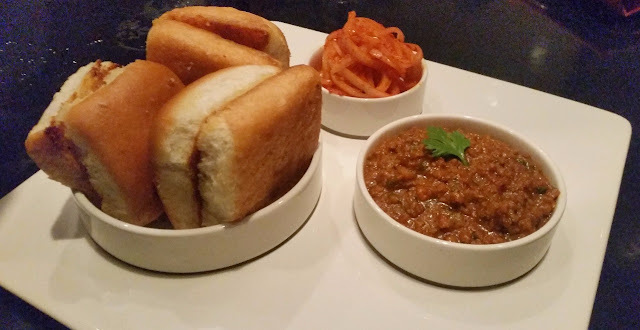 From the Sandwich, Burgers and Rolls sub-menu, the highlight was the famed Mumbai Masala Toasties, stuffed with potatoes, beet slices and a delectable mint chutney. 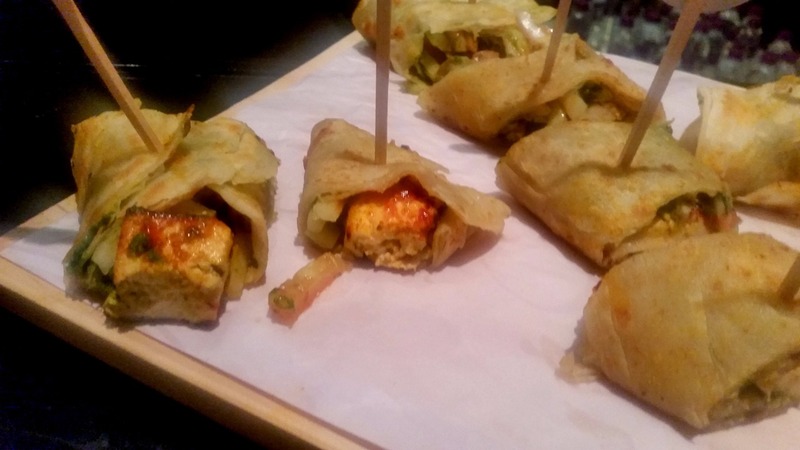 The Old Delhi Kathi Rolls (both veg and non-veg) were served cut into bite-sized portions. The Chicken Parmesan Burger was cheese laden with a large chicken patty inside a soft bun. 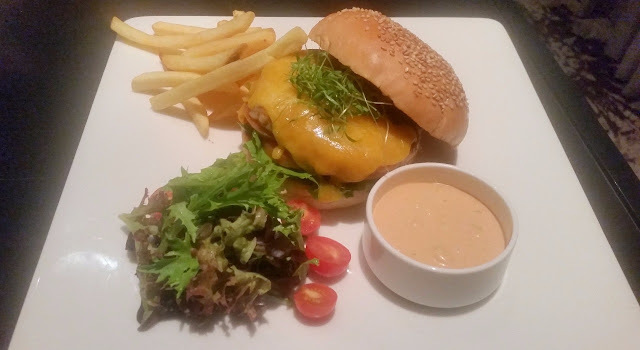 For beef lovers, there is Marriott Burger, where a ground tenderloin patty is accompanied by cheddar cheese. 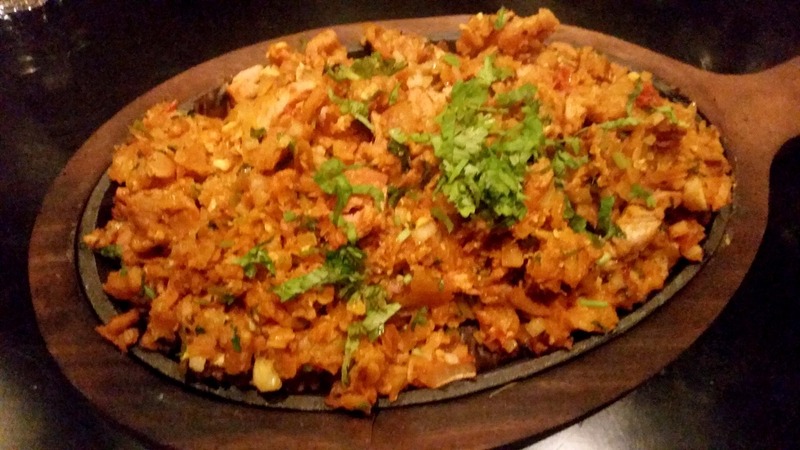 I love the Kothu Paratha from deep down South. Here there are two versions for veg and non-veg food lovers. In the latter, shredded paratha is served with chicken and egg. Another dish which was everyone’s favourite was Keema Pav. The balanced keema gravy, as well as the well soft flavourful butter pavs, made us go for repeats. A surprising dish was Baked Masala Maggi, our go-to dish for a light dinner or late night snack. 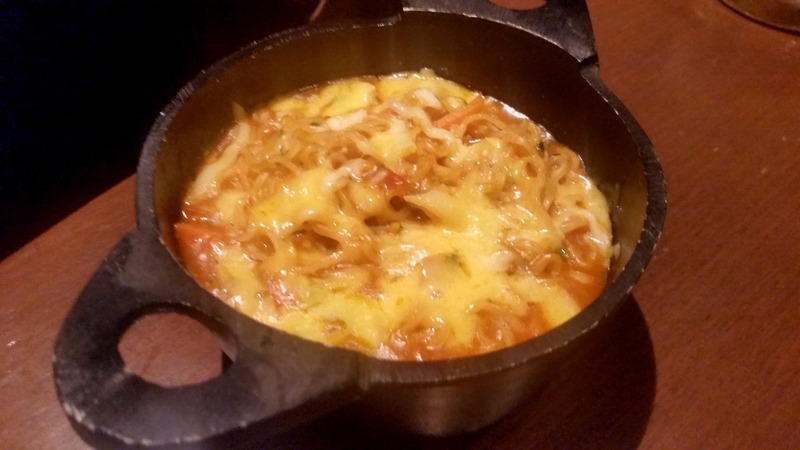 This is a something you do not usually have on a star hotel menu, a delightful preparation with lots of cheese and served with vegetables in it. The new menu also has a few dishes from Italian cuisine too – pizzas, pasta and risottos. In my opinion, stars of the new menu are the coffee and tea based drinks introduced – both alcoholic and non-alcoholic. Pick Me Up is a concoction of brandy and coffee with cream and nutmeg. Top of the World has coffee with vodka and hazelnut. Among the non-alcoholic versions, Maple & Vanilla Latte impresses. Any aficionado of tea and coffee would love trying almost all the beverages in this section.